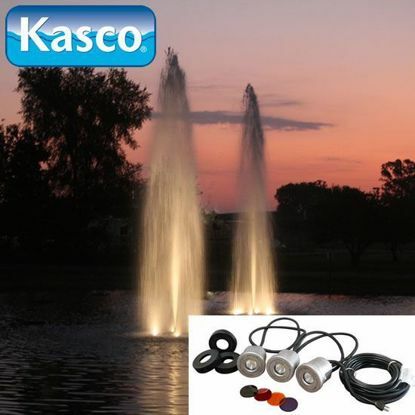 Kasco is a world leading manufacturer of decorative and aerating fountains, surface aerators, diffused aerators, municipal products, circulators, and deicers. 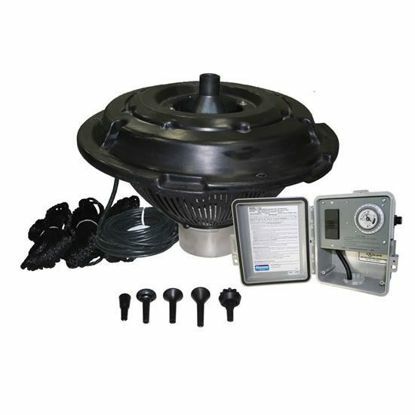 Kasco offers these products to a endless aquatic industries such as residential ponds and lakes, water treatment plants, retention ponds, docks, marinas, fish farms, and many more. 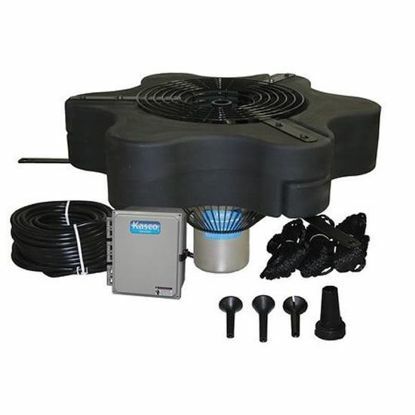 Kasco Marine's 4400JF/HJF 1 HP Floating Fountain is perfect for medium size ponds and when multiple fountain patterns and pattern height are desired. It includes 5 interchangeable nozzles standard, to give you 5 FOUNTAIN PATTERNS FOR THE PRICE OF ONE! The 5 fountain patterns range in height of 10 feet and width of 27 feet. 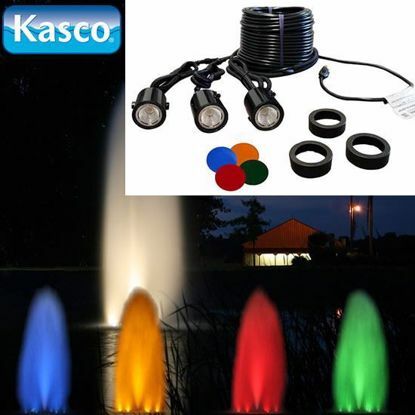 Kasco LED Composite lights are affordable, and brilliant lighting packages for your Kasco Floating Aerators and J or VFX series Fountains. Designed and engineered with a one piece composite housing and ultrasonic weld, these are the most durable water fountain lights on the market. 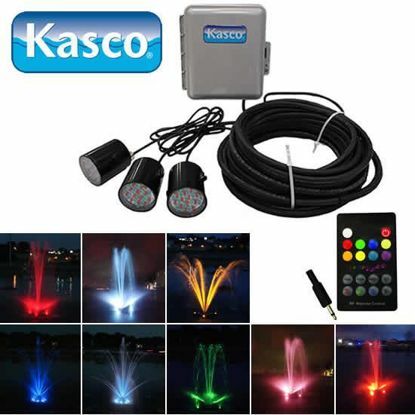 Kasco Marine's ALL NEW Waterglow RGB LED Lighting, the ultimate decorative and/or event lighting for your J or VFX series fountains. With the capacity to create 9 different colors, this remote control operated unit also allows the user to adjust brightness levels, has three sequencing patterns, and can be coupled with any music playing device that supports a 3.5mm Y connector (not included with unit.) This affords the user the ability to set the RGB light sequencing to the rhythm of the music! The ultimate lighting solution for Kasco JF and VFX Series Fountains, and AF Series Surface Aerators. 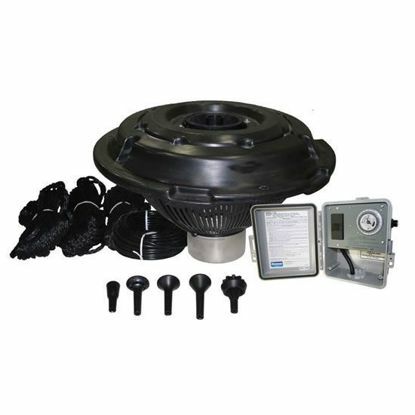 3 or 6 fixture kits features durable stainless steel housings and are available for 1/2HP-7.5HP units.